Lannock Strata Finance recently attended the Strata Community Association Queensland Conference held from 13th – 15th March in the Gold Coast. The Conference was focused on recognising and celebrating the industry’s passion for the strata sector. 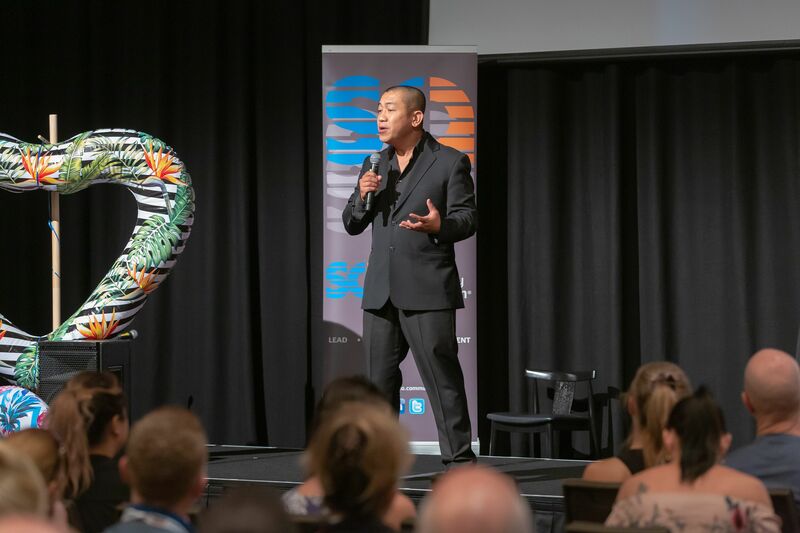 Lannock was proud to be the Keynote Sponsor for Anh Do’s closing Keynote Session which was well received by attendees. As a Conference Sponsor, Lannock exhibited at the conference and continued to promote the strata personality test by asking strata managers a number of light-hearted strata themed questions to determine their personality type. 38% chose Queenstown as their go-to destination making it the number one destination. Interestingly, Istanbul and Antarctica were equally popular. Tina Turner’s ‘Simply the Best’ was the number one song to unwind to after a busy of day of meetings. No love was given to Celine Dion’s ‘My Heart Will Go On’. Get in in touch if you have any comments or feedback.